The geographic scope of his practice is nationwide ranging from Southern California to Florida to New England with many stops in between. Assignments have been engaged for routine purposes such as refinancing, development loans, as well as for litigation related assignments that include a number of assessment appeals for major hotels, including full-service franchised properties, independent casino hotels with substantial retail components and limited-service properties. He serves his clients as the provider of litigation consulting services, expert witness and appraisal services in these cases. In some instances, the appraisals have been for the adaptive reuse of existing properties that have historically been under different uses. 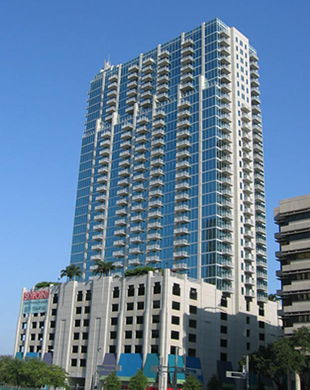 More unusual assignments include the appraisals of condominium-hotel properties that involve both the analysis of hotel operations, as well as consideration of the condominium ownership, urban hotels that are part of larger mixed use developments, appraisals for urban leasehold hotels for the establishment of land rent and the repositioning of existing hotels to different brands. In other cases, appraisals have been prepared for hotels that are moving from franchised brands to independents. Proposed Stoney Creek Inn Hotel & Conference Center, Broken Arrow, Oklahoma. In this assignment, Mr. Steele developed an appraisal of the proposed 177 room select service hotel with approximately 50,000 square feet of function space. The assignment included a market feasibility analysis to supplement the development appraisal of the property, which also provided allocations to the real estate, furniture, fixture, equipment and intangible business asset value. Crowne Plaza Hotel Union Station, Indianapolis, Indiana. Mr. Steele prepared appraisals of this historically significant property for a four-year period for ad valorem assessment appeal purposes. He appraisals considered the ongoing renovation of the property during this time, changes in the marketplace, as well as the contributions of the furniture, fixtures, equipment and the intangible business asset value. Proposed Boutique Hotel, Rockford, Illinois. National Realty Counselors developed an appraisal for the adaptive reuse of an institutional property into a 50 room hotel with a casual fare restaurant. The assignment included a market feasibility analysis to supplement the development appraisal of the property, which also provided allocations to the real estate, furniture, fixture, equipment and intangible business asset value.